Wireless Sensor Networks (WSNs) have promising industrial applications, since they reduce the gap between traditional enterprise systems and the real world. However, every particular application requires complex integration work, and therefore technical expertise, effort and time which prevents users from creating small tactical, ad-hoc applications using sensor networks. Following the success of Web 2.0 “mashups”, we propose a similar lightweight approach for combining enterprise services (e.g. ERPs) with WSNs. Specifically, we discuss the traditional integration solutions, propose and implement an alternative architecture where sensor nodes are accessible according to the REST principles. 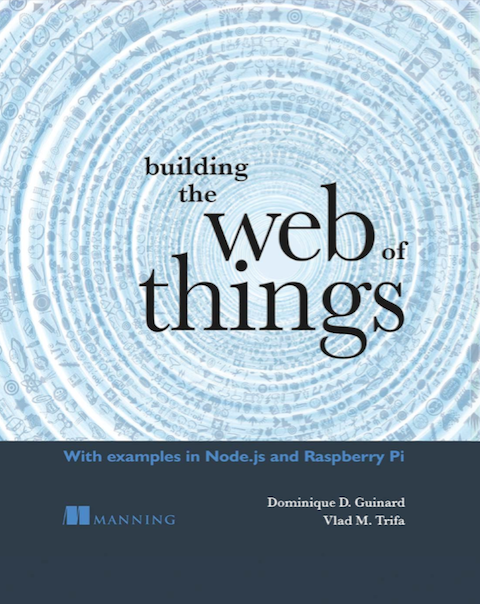 With this approach, the nodes become part of a “Web of Things” and interacting with them as well as composing their services with existing ones, becomes almost as easy as browsing the web. The paper is focusing on comparing (rather qualitatively) WS-* service with a more RESTful approach. It then presents in greater details our “RESTfication” of the Sun SPOTs WSN (Wireless Sensor Network) platform. For more info, download the paper here! First, congratulation for your work. This blog will probably help the Web of Things to become well-known and more popular. I fully agree with this vision of a Web of Things, which is to the Internet of Things what the Web is to the Internet. As a PhD student of the university of Lille, France, I am working on topics related to yours. I focus on the system aspects of the embeddability of autonomous Web servers (with no underlaying OS, and with its own TCP/IP stack). One of my aims is to prove that Web servers can be embedded in extremely constrained (and cheap) devices, starting from 200 bytes of RAM, 8 kilo-bytes of EEPROM and a 8 bit CPU cadenced at a few MHz. I have one conference paper about it (at ICESS’O9, which is airing now). It is called “The Web of Things: interconnecting devices with high usability and performance”, and will be available in a few days. Well, we don’t really use gateways “because” of the lack of tcp/ip, but because it’s simple and ready to integrate existing WSN deployments (for example) with the Web while minimizing the Web. I think the point is ideally a world filled with web-enabled devices (ideally directly with tcp/ip). Just that some old schoolers will disagree with that, saying that tcp/ip, or worse http, shouldn’t be used for embedded devices, as it’s way too slow. I don’t agree necessarily, and what I found interesting is to compare and see what is actually the price to pay for using web on devices. Keep up the good work and don’t hesitate to send us the paper when it’s out! I’ll send you both paper and slides at the end of the conference. Your remark about WSN and TCP is interesting. In fact, it has been shown that TCP fits badly with WSN (with multi-hop routing), mainly because of the irregularity of latency and losses in such network. Providing a real TCP support makes sense in a sensor or any other device, but it is probably not a good deal to use it for communications inside a wireless sensor network.